Make your smile the most confident and beautiful it can be. Our door is always open and we welcome you to take the first step. 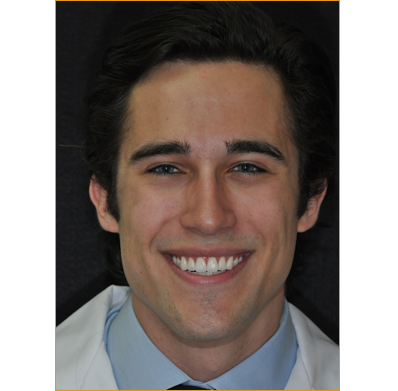 We realize that you have many dentists to choose from and we thank you for selecting the practice of Dr. Michael Kraus. 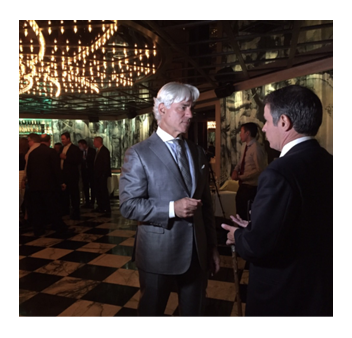 Dr. Kraus prides himself on being appointed as the only dentist in the United States to receive the 6 Star Diamond Award, as per the American Academy of Hospitality Sciences. The level of service and care is immediately apparent when you step foot into our office. You will notice our Manhattan office is equipped with the latest technology to offer you the most comprehensive experience attainable in cosmetic dentistry. 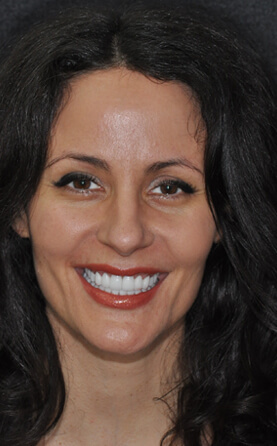 Dr. Kraus is passionate about creating beautiful, healthy smiles and performing restorative and cosmetic dentistry for exceptional and lasting results. Dr. Kraus has been combining his love for art and dentistry for over 25 years. As a practitioner, educator and volunteer, he devotes his time to the well-being of others. 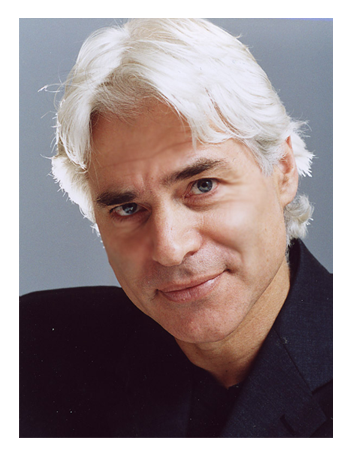 He is an expert resource and a demonstrated leader in cosmetic and aesthetic dentistry. As the only dentist in the United States to be awarded the 6 Star Diamond Award by the AAHS, Dr. Michael Kraus prides himself on providing the ultimate experience in dental care. 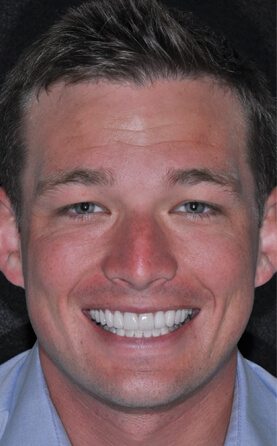 He is supported by a team of experienced dental hygienists and highly trained staff and we all look forward to meeting you and thank you for choosing and trusting the practice of Michael F. Kraus. 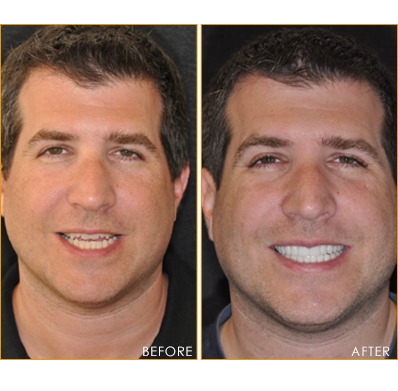 Having an admiration for art allows Dr. Kraus to fulfill the artist role in creating unique, beautiful smiles. 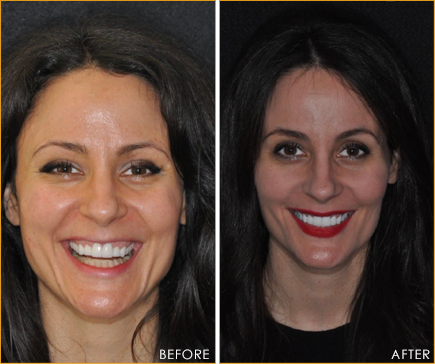 Inspired by Roy Lichtenstein’s "Reflections on Conversation," Dr. Kraus seeks to provide the smile that has been missing from your life. What makes a smile beautiful? 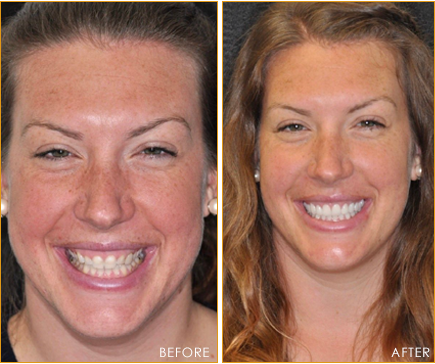 A unique smile tailored to your face, skin color and personality. As a board member for the Center For Living, Dr. Kraus extends his time outside of the office to those struggling with opioid addiction and eating disorders and is passionate about guiding them toward overcoming their addictions. Oral health is the first line of defense in the gateway to general health. Those battling addictions such as bulimia, anorexia and opioid addiction are unique cases that Dr. Kraus has experience in treating dentally. With the opioid epidemic being prevalent in today’s society, it is important to teach how addiction is connected to oral health. Opioid addiction can lead to full mouth degeneration, also known as "meth mouth," while those struggling with eating disorders experience enamel erosion. Dr. Kraus dedicates his time to giving lectures on how addiction relates to oral health and feels exceptionally strong about treating these patients- as diagnosing their oral health issues will lead them one step closer to optimal health. It is not uncommon for patients to feel uncomfortable when coming in, but there is no need to worry. If you have extreme dental phobia, we work closely with an anesthesiologist to ensure you are as comfortable as possible and accommodate your needs through sedation dentistry. Every year, Dr. Kraus chooses patients who are in need of his services, but can’t afford them. 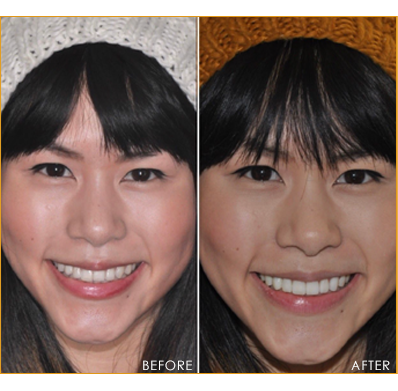 This year, Esther was chosen to receive a smile makeover involving veneers, crowns and Invisalign. Dr. Kraus was moved by her everyday goodness and kind heart and felt the need to give back. After tirelessly addressing other health issues that took precedence in her life, Dr. Kraus wanted to provide her with a positive medical experience. 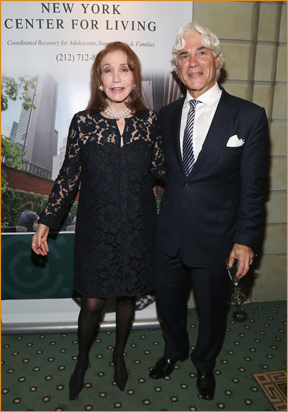 Heartwarming gratitude always outweighs financial compensation for Dr. Kraus. 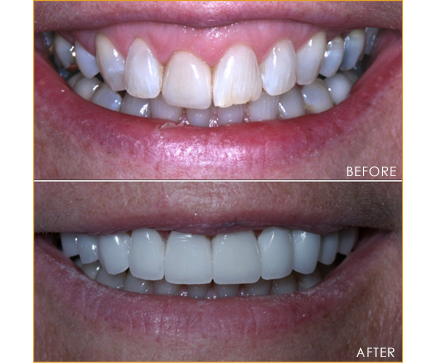 By temporarily laying acrylic over your existing teeth and then reshaping them into a new smile, Dr. Kraus can allow you to visualize the smile he will create out of porcelain. 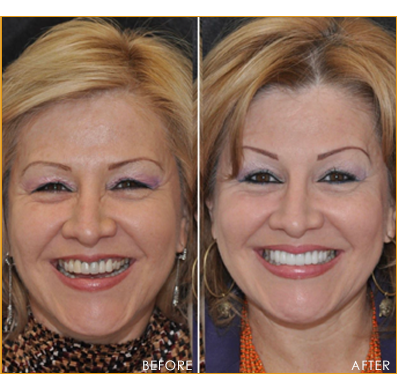 This process of creating a trial smile is called the mock up. We use this to determine exactly what fits your face and function. From that point, Dr. Kraus prepares your teeth and creates a custom porcelain smile that is both aesthetic and functional. We call this a smile makeover. Your new smile is attainable in just a few visits. While being as strong, if not stronger than natural teeth, porcelain veneers are a quick way to address aesthetic issues such as diastemas, chipped, crooked and stained teeth. 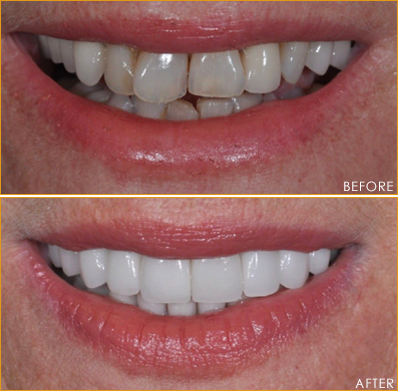 Veneers are thin porcelain “slippers” that fit perfectly over slightly prepared teeth. The teeth are thus restored with a lifelike appearance due to their ability to be thin and translucent. 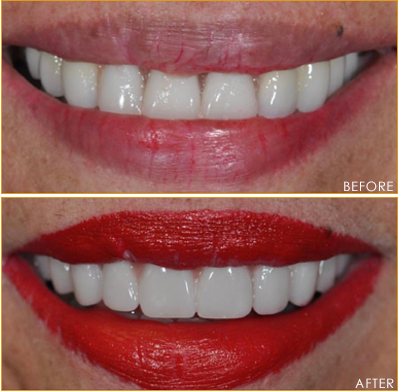 It is the most conservative aesthetic procedure we do other than laser bleaching. Short teeth can mean excessive gum tissue. 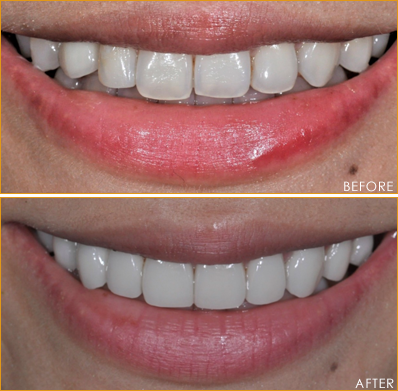 We can restore a smile often using a soft tissue laser, or in some cases referring to a periodontist to alter your gum line so you can say goodbye to your gummy smile. 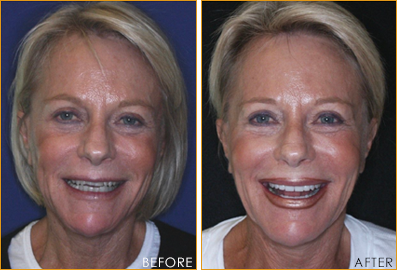 Porcelain veneers prop up the upper lip to create a renewed fullness. 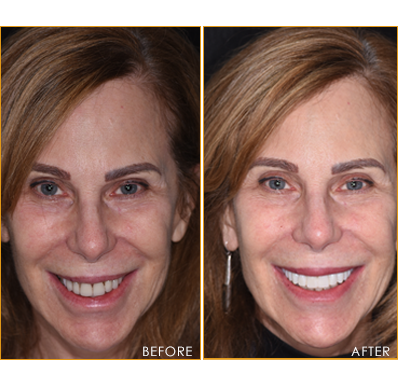 In some cases, a thin upper lip can be augmented by the positioning of porcelain veneers in a smile makeover. 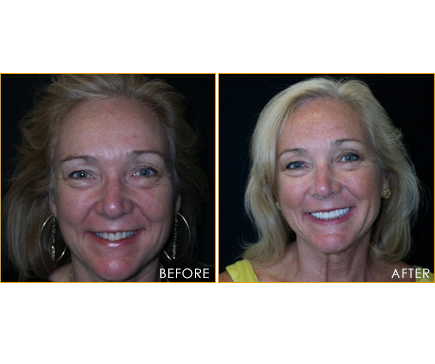 Astounding results can be achieved without dermal fillers or surgery. 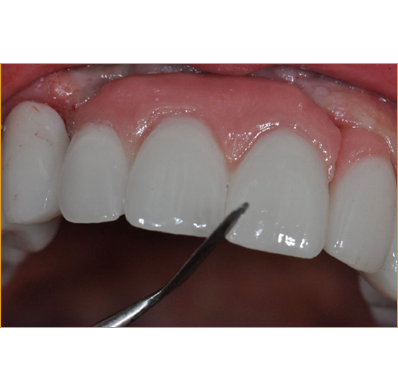 Every case has bite considerations that must be addressed for both a functional and aesthetic result. 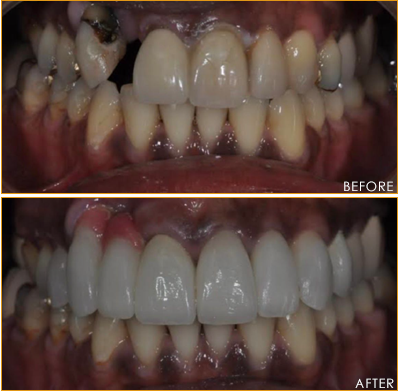 In some cases, a full mouth reconstruction is done to restore the former bite (occlusion) or to create a new one. Functional and aesthetic issues can then be addressed at one time. 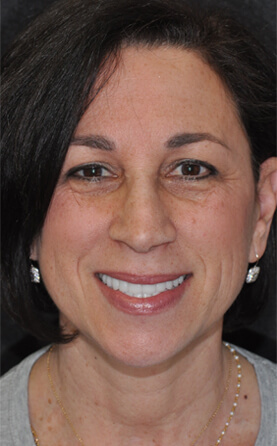 Restoring your bite can improve function and have a marked effect on facial symmetry. 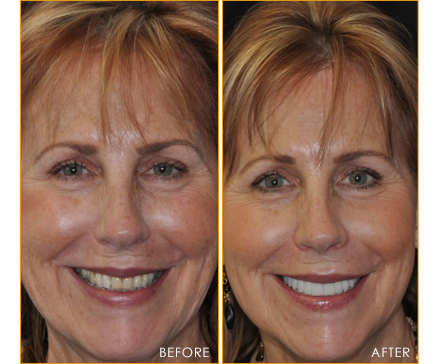 Often, unwanted wrinkles are eliminated in the process of creating your beautiful smile. Used to replace one or more missing teeth, dental implants are an alternative to bridges and dentures- we replace teeth with titanium “roots” and then construct crowns on the new foundation. Dr. Kraus’ office is equipped with a state of the art scanner to instantly diagnose and reveal the quality and quantity of bone for the placement of implants. 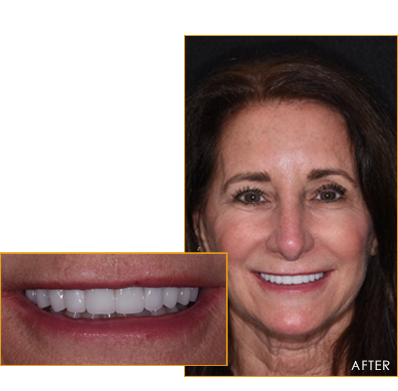 Dr. Kraus uses Invisalign to orthodontically correct misaligned teeth which are otherwise aesthetically pleasing. 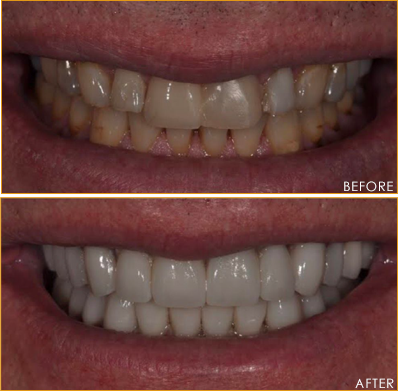 This is the done with a series of aligner trays which incrementally change tooth position. State of the art Panorex, Cone Beam and 3D scanning devices are in the office. Researchers have made the connection that being in good oral health is the protection necessary in avoiding long term health problems. Gum disease, heart disease, stroke and even premature births can be linked to poor oral health. The gums and teeth are directly connected to the bloodstream and by caring for them properly you can potentially avoid these health issues. Periodontitis is a condition where the gums and deeper periodontal structures become inflamed and can eventually lead to tooth loss and puts you at risk of heart and lung diseases. If you are experiencing periodontal issues, it is recommended that you frequently come in for cleanings to avoid tooth loss. Luckily, this is a condition that can be prevented through routine maintenance and cleanings every six months. For our patients who are dental phobic, have heightened gag reflexes, or problems opening their jaw, we offer IV sedation. Our board certified anesthesiologist, Dr. Khan, comes to the office and sedates you for as long as the appointment requires, taking the stress and anxiety completely out of the treatment.